Jaipuria Jaipur organized A National Conference on Media and Communication on 8th February 2013.The guest of honor for the occasion was Padmabhusan Jas Dev Singh Ji, a noted commentator. The chief guest was Ms. Sangeeta Pranvendra, chief of Bureau, INDIA TV. The Director of the Institute Dr. Rajiv R Thakur delivered and impactful welcome address in which he complimented Padmabhusan Jas Dev Singh Jias being the Sanjay of Mahabharta. Dr. Swati Soni, the convener of the conference introduced the theme of the conference. Ms. Sangeeta in her address emphasized that the role of media has ever been the same, only the character has changed, owing to a change in its revenue source- from being circulation/subscription driven to being subsidized by advertisements. Jas Dev Singh Ji in his address shared his experience and stressed upon key quality of a good commentator- sheer observation and no exaggeration. He opined that speech has to be decent, balanced and unbiased. His voice enamored the audience and they applauded the legend. The inaugural ceremony was followed by plenary session. The panelists were Ms. Sapna Mahesh - Senior Program Producer, Prof. Sanjeev Bhanawat-Head, Centre for Mass Communication, University of Rajasthan, Mr. Sanjeev Kumar- DGM, Times of India, MR. Sanyog Mishra-A Free Lancer, The session has meaningful deliberations among the panelists on content & marketing. The session was moderated by Ms. Sapna Mahesh who concluded by saying that good content finds its readers. The Theatre Workshop conducted by Mr. Punit Sharma was a huge success. He demonstrated the effect of body language, pitch, tone, expression, exclamation on spread and its delivery. The second day of the conference began with technical sessions where 30 papers presentations were made by delegates attending the conference from all over India. 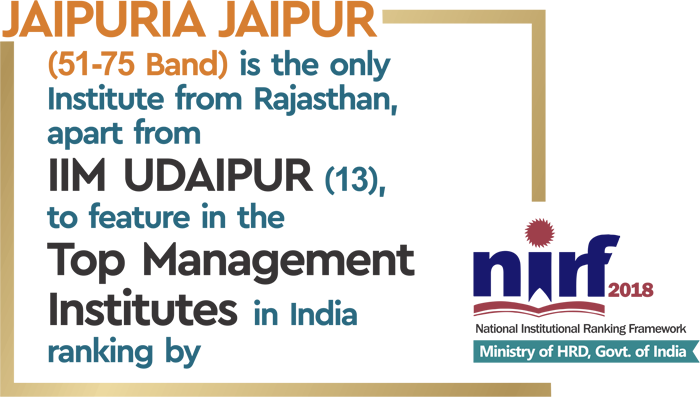 The panelist in the second plenary session were:Mr. Alok Sharma, AGM Rajasthan Patrika& CEO FM Tadka, Mr. Anant Vyas-Media Manager, IPL, Mr. Deepak Gera-Movie Director, Prof. S P Garg – Faculty Jaipuria Jaipur, Dr. Abhijit Nair- Faculty Jaipuria Jaipur. The session was moderated by Dr. Abhijit Nair. The panelists talked on the future of media &opined there are opportunities galore and so are the challenges. Media is becoming more & more participative interactive and engaging. The valedictory session had Mr. AlokTewari, Head HT as a guest delivering the valedictory address. He congratulated the director and conveners for having selected a very appropriate & worth deliberating theme for the conference. The certificated were given to the participants.The award for the best papers was also given.Dr. SwaitiSoni, convener of the conference delivered the vote of thanks.